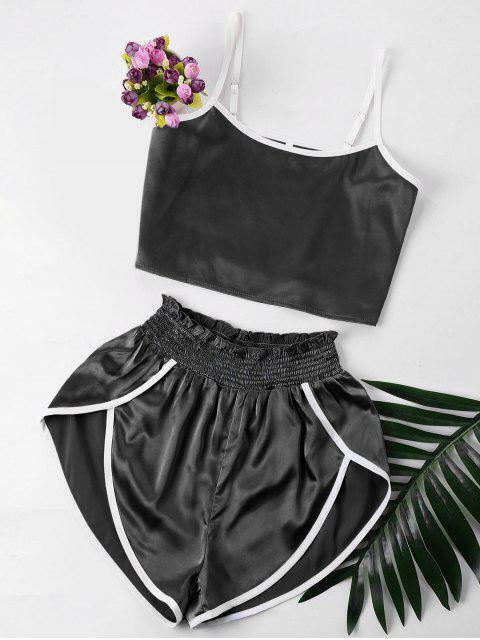 [21% OFF] 2019 Contrast Trim Cami And Shorts Set In BLACK | ZAFUL ..
Our casual sets can be worn separately but look better together. 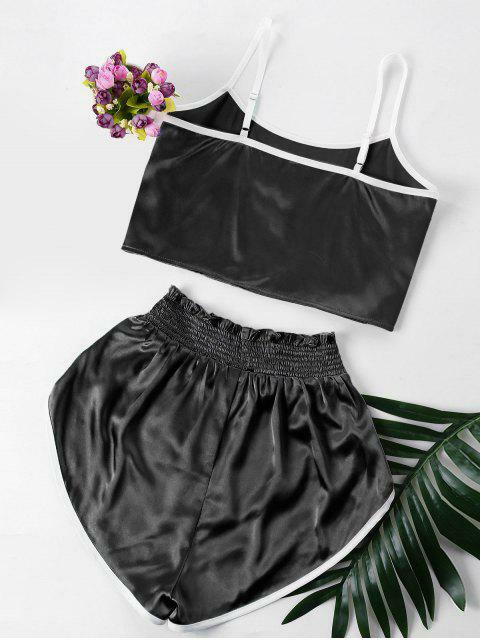 So soft satin fabric, offer you ultra-comfortable feel. Combined with a cropped camisole and high-waisted shorts in contrast trimming design. The camisole has adjustable straps. 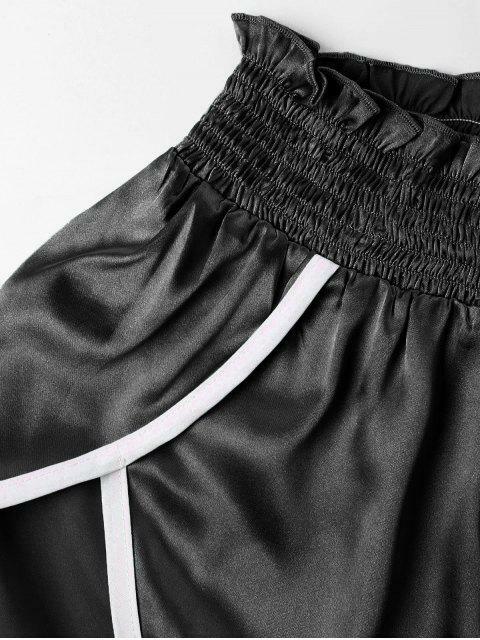 High cut shorts feature an elastic waist with ruffles detailing, perfectly show your elongate legs' line.